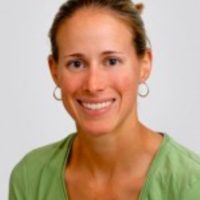 Megan Leo is the Director of Emergency Ultrasound at Boston Medical Center. She is responsible for training and credentialing of attending and resident physicians within the Department of Emergency Medicine. She is also the EUS fellowship co-director, which offers one position per year within the Boston Medical Center emergency department. Dr. Leo is the immediate past president of AEUS and has been on the SonoGames organizing committee for the past 3 years. She is the past chair of the AIUM international ultrasound interest group. She also has international ultrasound education curriculum development and training experience in Rwanda and Kenya. Dr. Leo has a strong interest in point of care ultrasound education research.